Category: Uncategorized. 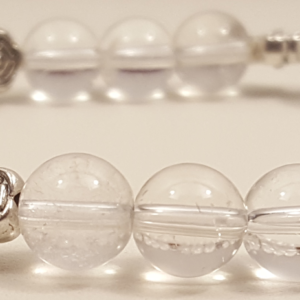 Tags: clear quartz, fire agate, set, sterling silver. A combination of clear quartz chips and blue fire agate beads. It comes with sterling silver fishhook earrings. 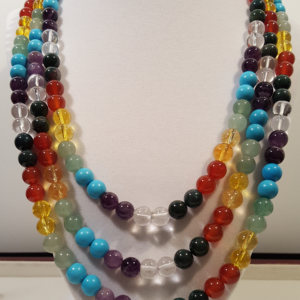 This lovely piece is from our “Sparkle” collection. 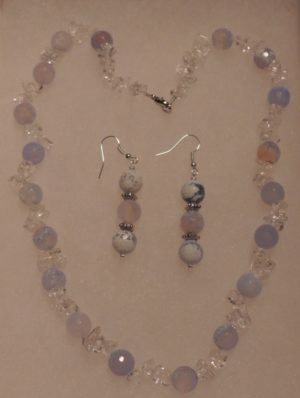 It is a combination of clear quartz chips and blue fire agate beads. It is stunning in its delicate elegance. It comes with sterling silver fishhook earrings that complete this graceful look.